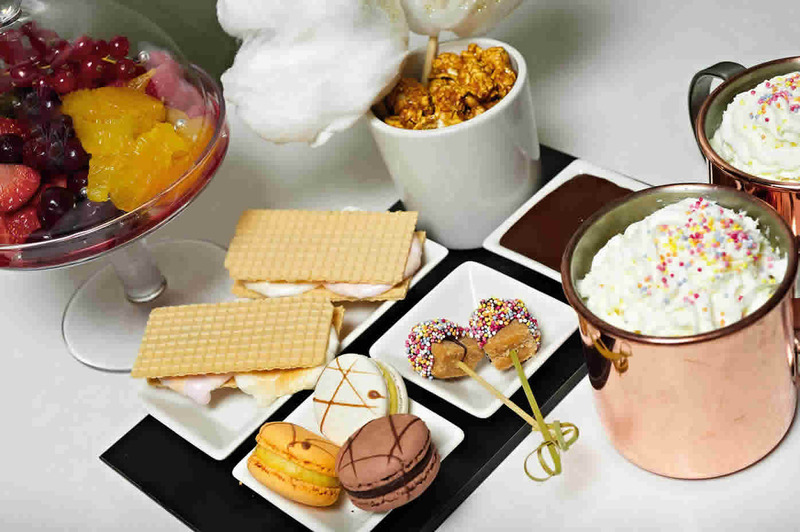 The very best midnight feasts are sweet and taken in the clouds – or Cloud 23 to be specific. Cloud 23, the high-rise bar on the 23rd floor of Hilton Manchester Deansgate, not only has the city’s most celebrated vista, it is soon to launch its most sought-after late night menu. The bar is launching 'Midnight Feast', a selection of soul-food treats that will satisfy any after-dark appetite, which launches on December 1 and will be served daily until February 28, 2015 from 6pm until midnight. For £18 per person (non-alcoholic) and £23 per adult (alcoholic version) the menu includes the chef’s daily selection of macaroons, American smores, chocolate fudge sticks with hundreds and thousands, salted caramel popcorn, VIP candy floss, chocolate fruit fondue and rum hot chocolate with vanilla whipped cream. Hilton Manchester Deansgate’s general manager, John McLaughlin said: “Mancunians are famous for their love of great sweet treats and we believe, with our fabulous Midnight Feast offer, we’ve got every base covered for city residents and visitors, wherever they are from. If your night has left you bereft of a little sweetness or if you simply want to put the cherry on top of the icing to end your night in town on the perfect note, then there really is nothing to touch our scrumptious Midnight Feast. To make a reservation for afternoon tea at Cloud 23 call 0161 870 1670 - email cloud23.manchester@hilton.com - book online via the website.